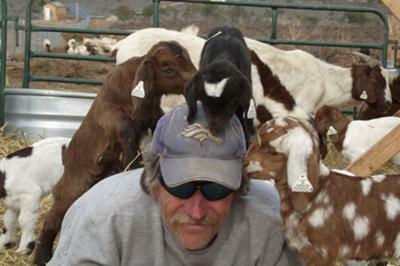 Commercial Boer Meat Goats. Available for managed grazing for weed and brush control in Southwestern Colorado. Courtney and I keep talking about contacting you and telling you HOW INCREDIBLE our puppies have become!! They both are the nicest easiest dogs ever. And they get to see each other at least once a week and LOVE each other. Just thought you might like to know I don't know how to post pictures Maybe I can get Courtney or TaAnna to do it.